Advocacy: CALLS NEEDED NOW (1-855-727-7407)! Anti-immigrant legislation before GA Senate TODAY! Please share widely! and to continue leadership development. Si se puede! Su VOTO Es Su Voz! This week, the Georgia Senate is fast-tracking an anti-immigrant bill that would harm public safety all over the state and would further make Georgia un-welcoming by creating a police state for everyone to prove legal status with every interaction with law enforcement, even for minor crimes. This legislation would undermine community policing. It would make immigrants interact less with law enforcement, and it would increase crime instead of reducing crime. Please call 1-855-727-7407 TODAY and tell your State Senator to vote NO on SB452! There is a lot going on and you need to stay engaged. Please stay up to date with us on facebook.com/GALEO.org for the latest actions and information. Please join our advocacy efforts by joining our texting campaign. The image to the right is our latest way to engage with our supporters in a timely manner and make our efforts more effective. 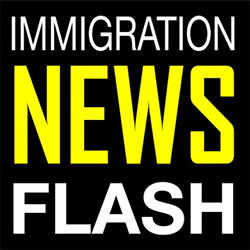 Please stay engaged and respond to important actions by texting the word IMMIGRATION to the short code number 864-237. This will add you to our texting program to ensure we speak up at needed times. Georgia Senate poised to take up the a legislative initiative that would make Georgia a Police State for immigrants and anyone who can’t prove U.S. citizenship. Call 1-855-727-7407 NOW! Your voice is needed to help stop this bill. Makes communities less safe, not more safe. Trust between immigrant communities and police are at an all-time low, and this bill discourages crime reporting by immigrant communities by making it more likely that local police will investigate immigration matters instead of focusing specifically on local crimes (see Section 1, lines 20 through 23). Immigrants will be discouraged from going to court for minor offense (local ordinance violation-Section 2, line 32, et seq) out of fear that they could be subjected to deportation. This creates inefficiencies in the administration of local justice. Commandeers local police for immigration enforcement purposes, regardless of whether they wish to do this. There are currently a handful of 287g counties in the state. If they choose to do so, police departments can make the choice to sign up. Local police and local officials know best how to build trust with their communities and pursue public safety. This bill is an overreach, and substitutes sound on-the-ground judgment for overweening and potentially uninformed state oversight. Citizens at the local level elect local officials to hold them accountable for local outcomes. Why should the will of local voters be overruled? Reporting requirements under this bill use up precious time and resources and amount to an unfunded mandate. Call 1-855-727-7407, enter your zip code, then choose your State Senator. Keep calling all day today and get others to call! Ask them to VOTE NO on SB452! YOUR VOICE is needed to stop this bill and keep Georgia from becoming a POLICE STATE. #AdiosAmazon English Only Constitutional Amendment is up for debate in the GA Senate! English-only Constitutional Amendment would likely be unconstitutional and conflict with federal law. However, it will also send a negative message that Georgia is an unwelcoming state for foreigners. It would likely catch the attention as Atlanta attempts to attract Amazon’s HQ2. We call the legislation #AdiosAmazon because we do feel that it would harm Georgia’s future efforts for attracting ongoing economic development. Please call your Senator to oppose this legislation. Make your calls now! AND share the graphic above with the hashtag #AdiosAmazon and tag @amazon as well. Share the numbers too! Let’s defeat this legislative initiative again. Join us every THURSDAY for Immigrant Rights Thursdays at the Capitol hosted jointly by AAAJ-Atlanta & GALEO! See details below. Your voice of reason is needed! Georgia should pass Hate Crimes Legislation to protect communities and make #HateFreeGA ! Unfortunately, the legislation has stalled. We are working to get the legislation moved to the House Judiciary Committee and this is the group to contact now. Georgia is one of just five states in the nation that does not protect its citizens against hate crimes. The time for Georgia to rectify this is now. Hate crime laws protect all of us. Hate crime laws don’t speak in terms of African American, Jewish or Gay. The bill covers the following categories: race, color, religion, national origin, sexual orientation, gender, gender identity, mental disability and physical disability. Atlanta is a finalist for Amazon’s second headquarters, and the eyes of the nation are on Georgia. We must show that we are a welcoming state that protects ALL its residents. Make your calls and send your emails now! FREE Citizenship Workshop in April and June! June 23rd 2018: there will be several sites: Gwinnett County, Clarkston & at the Latin American Association. Volunteers are needed to register voters at Naturalization ceremonies and for the 2018 ELECTIONS! Many people will become U.S. citizens this year and will need to register to vote. Volunteers are needed to help us with this initiative. Please volunteer if you can! Let us know by sending an email to harvey@galeo.org to confirm your interest and feel free to invite friends too! There will be training necessary for all volunteers before going to the naturalization ceremonies. Please send us an email and let us know when you can volunteer! GALEO Joins our Friends at the American Jewish Community Atlanta Regional Office with celebrating the Atlanta Unity Seder on March 13th! Following on the tremendous success of our previous Black-Jewish Seders, we invite you to join us for a unique experience in celebrating the Jewish holiday of Passover, which tells the story from the book of Exodus of the Israelites’ journey out of Egypt, from slavery into freedom. This year, the Seder will be conducted by Rabbi Loren Filson Lapidus with participants representing Atlanta’s diverse religious, ethnic and international communities. The evening is designed to introduce the powerful story of Passover that is shared every year in Jewish homes around the world, and to enable us to share diverse experiences with each other. Check out the latest videos of our Latino Leaders Summit, the 2017 Hispanic Heritage Month Luncheon & the 2017 Graduation of our GALEO Institute for Leadership! 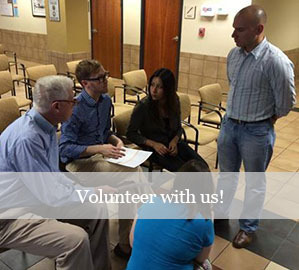 GALEO is also seeking an part-time canvassers! Please email harvey@galeo.org for details.